It is with deep sadness that the family of Robert Joseph Robichaud announces his passing, which occurred on Tuesday, December 4, 2018. Robert was born in Newcastle, New Brunswick on May 23, 1951 to the late Leo and Alvenise (Doiron) Robichaud. Bob served as past Vice President of LiUNA Saint John and lived his life on his own terms. He was very generous, selfless and always there to help anyone in need. Robert was never afraid to speak his mind and shared passion in whatever he did. 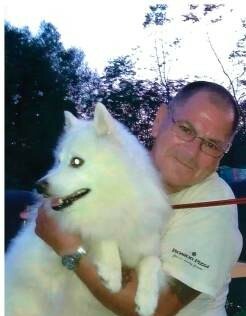 He will be extremely missed by his canine companion Jackson. Bob is survived by his cherished step son Gary (Holly) Henry and their children; Stephen (Candace), Sean (Christine), Scott (Kristen), Spencer and chosen grandson, Robert Legere. He is also survived by his great grandchildren; Zachary, Cody, Brooklyn, Carter, Kinley and Karlie. Also survived by his siblings; Karen (Albert) Hebert, Rose Robichaud, Ann (Marshall) McDonough, Ricky Robichaud, Sandra (Harold)Defazio, sisters in law Lynn Roy and June Robichaud, nieces and nephews. Robert is going to be missed by his extended Henry family: Raymond (Sue) Henry, Mary Ann (Fred Beaulieu) Bezeau, Alma (Cyrille) Bezeau, Dora Robichaud, Donnie (Aurea) Henry, Shirley (Darrell) Sewell, Leo (Theresa) Henry, Jeannine (Steve) Dupuis) Norman (Christine) Henry and many other grandchildren, great grandchildren, nieces and nephews. In addition to his parents, Robert is predeceased by his wife, Appoline (Doiron) Henry, step son Laurie Henry, step son in law Elmer Bezeau, step daughter in law Hazel Henry, sister Mary Robichaud and brothers Roy, Edgar, Edmund Robichaud and very special friend Norma Halliday. Visitation will take place on Friday, December 7th, 2018 at the Fundy Funeral Home between the hours of 2-4 and 6-8 PM. A Celebration of Bob’s life will be held on Saturday, December 8th 2018 at 11:00 AM in the Fundy Chapel.